Elise Walsh is a brilliant jazz singer, flautist and musical coach. The Bella Groove website showcases some of her performance. Elise wanted a website that appealed to both music managers and students. Intrinsic Digital helped shoot new videos to accompany her impressive demo catalog. We also knew many visitors would be using mobile devices, so the site had to look great on various screen sizes. It had to be responsive. In addition to the build, Elise wanted to be able to update the content herself. Adding new gigs, blogging about a range of musical interests were all part of the brief. We helped Elise start writing content. At the same time, we shot some new photos that showed off her bubbly personality and jazzy style. Elise had played at a number of venues around Canberra, so we went along to capture some of the shows on HD video. In addition to the digital media, we helped Elise create a Facebook page and SoundCloud account to reach a wider audience. 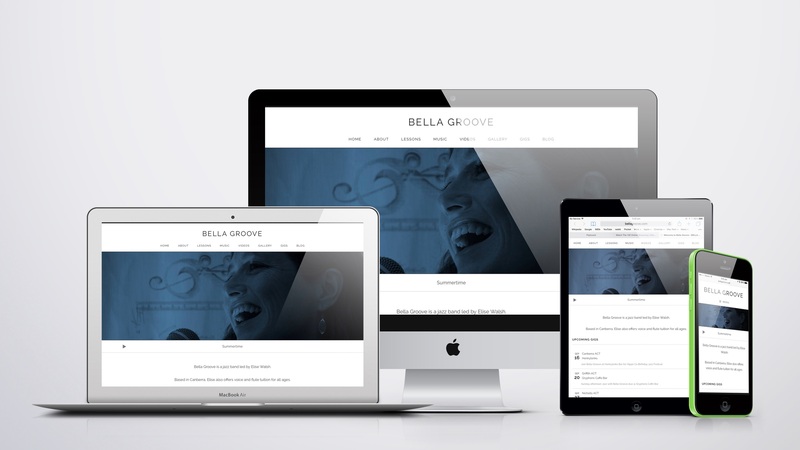 Check out the Bella Groove website!